If you have a site on WordPress.com, you now have more control over the SEO settings. You’re able to define a custom “Front Page Meta Description”. This ability allows you to determine what description shows up in the search engines when a user’s search returns your site in the Search Engine Results Pages (SERPs). Also, they have made it easier for you to verify your site with various webmaster tools and find your sitemap to submit to those platforms. The ones that are currently available are Google Search Console, Bing Webmaster Tools, Pinterest Site Verification and Yandex Webmaster. 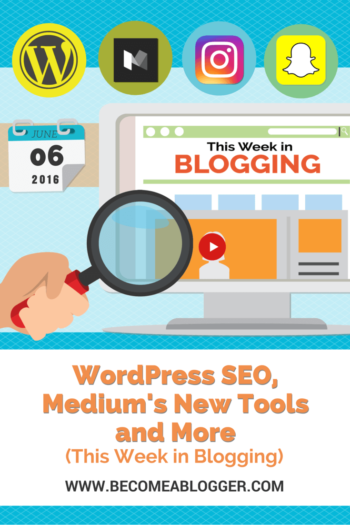 What this means for bloggers: If you use WordPress.com (the free version of WordPress), you now have A LITTLE more control of how your sites are indexed by search engines. You also have easier access to the analytical tools offered by these services. Back in April, Medium rolled out a suite of new features with the hopes of getting publishers and bloggers to make Medium their home. They even gave you the ability to host your blog there for free with your own custom domain. Full Text RSS – If someone subscribes to your Medium publication via RSS, you have the option to push your entire post content to them via RSS readers like Feedly. Custom URL slugs – Up until recently, your URL slugs were automatically created and you had no way to change them. Now you can define a custom slug. Navigation in stories – Individual stories/blog posts on Medium can now have your navigation menu visible. Link individual stories in your navigation menu – You will soon be able to link to individual stories and have them act like pages of your publication/blog. Publication-specific profiles – If you house your blog on Medium, each author will now have a custom profile for your publication. What this means for bloggers: Medium is stepping up their game. They aren’t at the level of WordPress, but they are building a serious alternative. Their integration with Twitter gives you a built in audience via your Twitter followers, and you can’t beat the cost for hosting – Free. I wouldn’t recommend abandoning WordPress at this point, but I would keep an eye on what Medium’s doing. 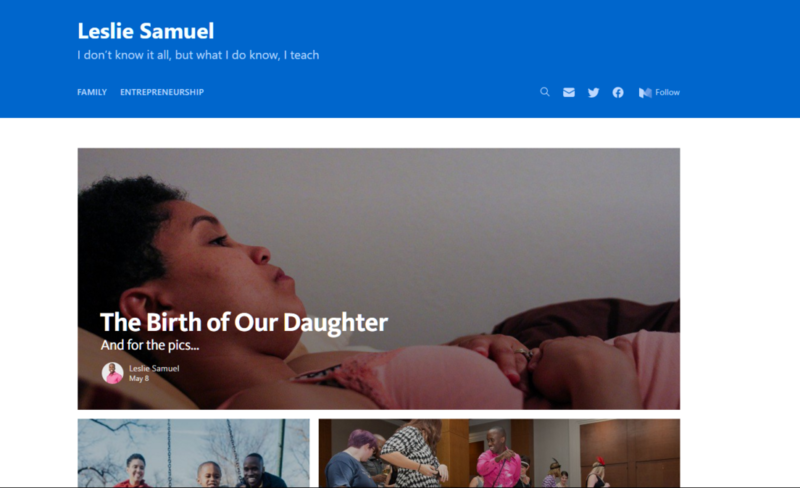 See my personal blog on Medium for an example of a publication. Back in March, Instagram (owned by Facebook) announced that they will be implementing an algorithm so that your Instagram feed will show you the moments they “believe you will care about most”. Well, Instagram has just announced that they are rolling out new tools for businesses. These include Business profiles (like Facebook), Insights (like Facebook), and post promotion (like Facebook). 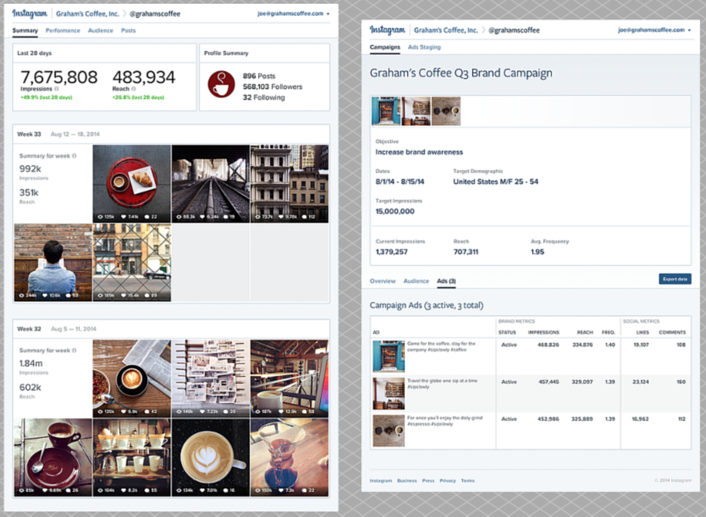 Instagram Business Tools: Left, Account Insights. Right, Ad Insights. What this means for bloggers: If you are a blogger who is using Instagram to market your blog, pay attention. Does this sound familiar? Yes it does. Sounds kinda like Facebook. My prediction – the Instagram News feed will soon be like Facebook’s news feed. If you want exposure, you will have to pay for it. WHAAATTTTT??? Isn’t Twitter the number two social network? Well, not according to one report – at least in terms of daily usage. Snapchat (after only four years) boasts 150 million daily active users. 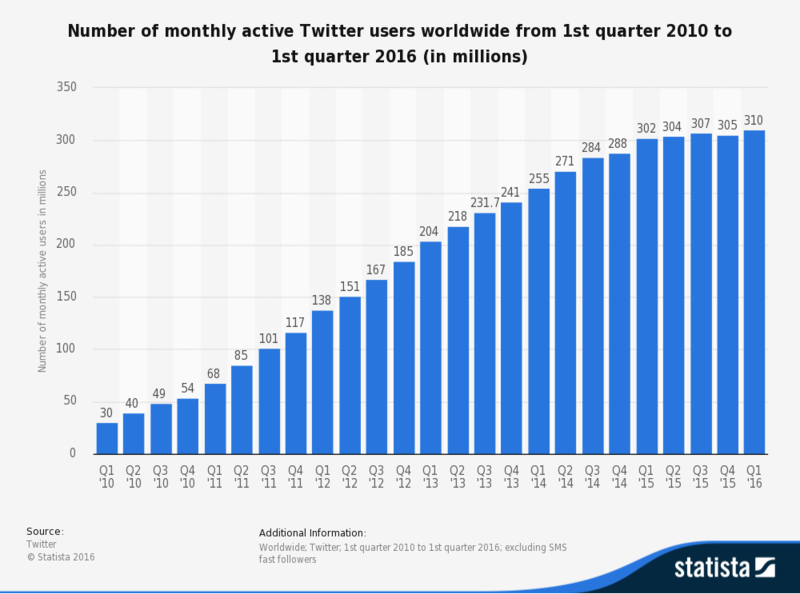 However, according to Twitter’s most recent earnings report, they have 310 million monthly active users and 44% of those users are active each day. This implies that there are 136 million daily active users – 14 million less than Snapchat. What this means for bloggers: The audience on Snapchat is growing rapidly. If you are creative and like short form video, Snapchat is definitely a force to be reckoned with. And if you are not paying attention to Snapchat because you think that your audience isn’t there, 150 million people are demonstrating that times are changing. Love your content Leslie. Great summary of all the going’s on in the SM and blogging world. I have been busy on instagram of late, so the changes there are….interesting/scary. Waiting to see what you really think!